Your pet deserve the best in pet care and it takes everyone on the veterinary health care team to make that happen. 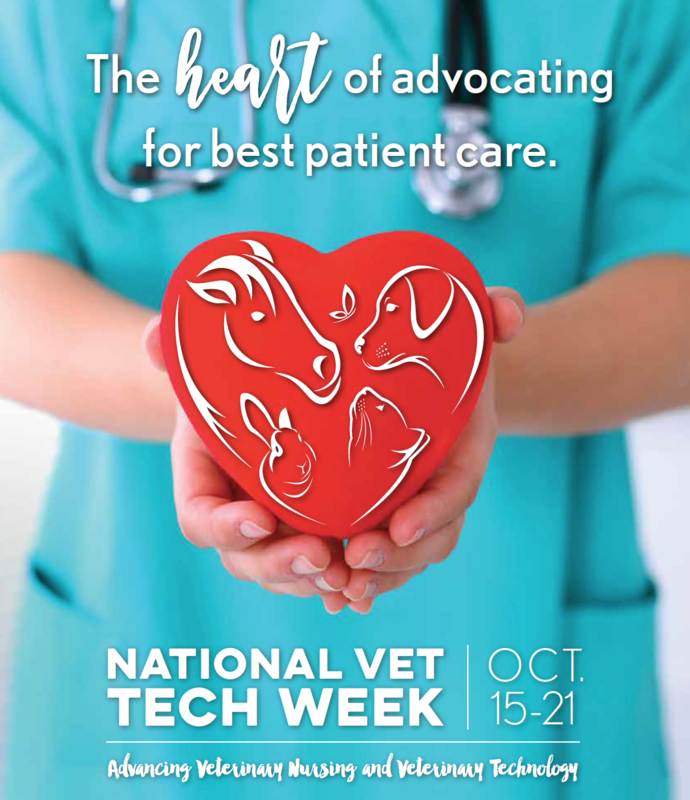 The National Association of Veterinary Technicians in America (NAVTA) recognized that fact and created National Veterinary Technician Week (NVTW). As a member of the veterinary healthcare team, veterinary nurses/technicians are educated in the latest medical advances and skilled at working alongside veterinarians to give pets the best medical care possible. They work closely with the veterinarians, veterinary assistants, practice managers, and owners to provide essential care to all species of animals; pets with fur, feathers, scales or skin. NAVTA has proclaimed October 15-21, 2017 to be National Veterinary Technician Week. This annual event recognizes veterinary nurses/technicians for their contributions in pet healthcare, as well as veterinarians, assistants, practice managers and others involved in pet care. This year, Hill’s Pet Nutrition, a company dedicated to helping pets reach their full potential through quality nutrition and healthcare, is sponsoring the week-long celebration. NAVTA is a nonprofit organization that represents and promotes the veterinary nurses/technicians profession. NAVTA provides direction, education, support and coordination for its members. Incorporated in 1981, NAVTA is the national organization devoted exclusively to developing and enhancing the profession of veterinary nursing/technology. Pets give us unconditional love and veterinary nurses/technicians provide TLC to pets and animals. Please join us in celebrating National Veterinary Technician Week by recognizing the team members providing veterinary care to all species of pets. We have an incredible team of technicians and assistants here at VSC/VSCR and we couldn't be more proud of them. Check out our Facebook page as we celebrate them and their contributions all week long: www.Facebook.com/AnimalSurgeons. More information about NAVTA and this special week can be found at www.navta.net.